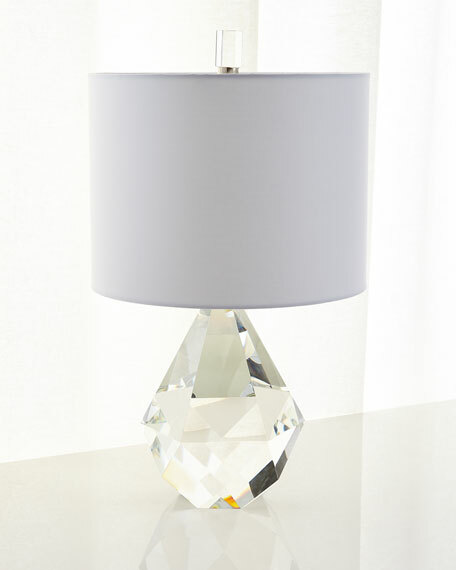 Solid crystal lamp with faceted base. Uses one 100-watt bulb; three-way stitch. For in-store inquiries, use sku #2214796.